The English Student accepts all major cards at this time including, Visa, Mastercard, American Express, Discover, and JCB. These payments are processed through Stripe. Paypal is also accepted during checkout. A new window should open up to direct you to your Paypal account for payment. We are not required to collect sales tax on any orders shipping outside the state of Washington. For all orders shipping within Washington state, a tax of _____ will apply. We work hard to ship everything as soon as possible as we know it's hard waiting days and days for something to arrive! But please do allow up to 3 business days for packaging and shipment, especially due to time zone differences around the world. 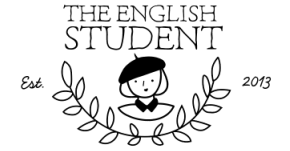 If you need something delivered to you quickly, please send an email to shop@theenglishstudent.com in advance and we can work something out together! We welcome shoppers from all over the world and currently use USPS (United States Postal Service) for all international orders. Some countries may charge custom fees or duties upon arrival to your country which The English Student is not responsible for. International shipping could also take more time so please be patient and feel free to send an email to shop@theenglishstudent.com for more information on your order. At this time, The English Student does not accept returns or refunds on any items purchased. All items presented on the website is the exact item for purchase. If you have more questions about a particular item, please contact The English Student and we'd be happy to answer all your questions! All items are checked before packaging and shipping. If your order is damaged through the shipping process, please email shop@theenglishstudent.com within three (3) days of receiving your order and we will do our best to work something out between the shipping company.